A year ago, I began reporting on and filing objections to a grid coverup involving a Critical Infrastructure Protection (CIP) standards. Specially, it all started with a 2.7 million dollar Notice of Penalty against an “Unidentified Registered Entity” of the electric grid. The North American Electric Reliability Corporation (NERC) – the alleged “regulator” for the electric grid – covered up the name. And the Federal Energy Regulatory Commission (FERC) – the federal agency responsible to oversee NERC – looked the other way on this grid coverup. This incident triggered a year-long investigation. 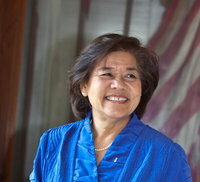 You can read the complete details of the investigation here: NERC Coverup Investigation Report. Our investigation revealed that between 2010 and 2018, there had been 243 FERC dockets involving 1465 “Unidentified Registered Entities.” In other words, the names of 1465 CIP violators were kept from the public view. Unfortunately, the coverup continues unabated. In 2019 (as of this writing) the CIP violations continue to have the names of the violators withheld from the public. The recent $10 million dollar Notice of Penalty is a prime example. Filed against an “unidentified” set of “companies,” the press soon reported that the culprit was Duke Energy Corp (NYSE ticker: DUK). But FERC has not acknowledged the name in the public docket! (See my Motion to Intervene in FERC Docket NP19-4-000.) FERC continues to allow the electric grid to engage in secret regulatory actions away from the scrutiny of the American public. NERC’s “Double Secret Probation” of the CIP violators is just wrong on every level. Why? Because secret regulation has not worked. So, if keeping the names of the CIP violators from the public was going to make us safer, wouldn’t it have worked by now? Clearly, our safety is not the point of hiding the names. NERC’s “Double Secret Probation” grid coverup is happening because that is what the companies of the electric grid want – anonymity and cover. Who will be responsible for all the deaths? I recently criticized Cheryl A. LaFleur – the longest serving Commissioner of FERC – for failing to take action to protect the U.S. electric grid in her 8 1/2 year tenure. Chairman Neil Chatterjee, Commissioner Bernard McNamee and Commissioner Richard Glick I have a question: If the grid goes down and millions of Americans die (see Senate report here), who is responsible? Are the FERC Commissioners responsible? Is the electric utility industry responsible? I suspect the answer will be none of the above. Nobody will be take responsibility if we have a horrible catastrophe. Fingers will point in every direction. “Blue ribbon panels” will be appointed to investigate and ultimately, the results won’t matter to the millions of dead Americans and their dead families. We need somebody to step up and take responsibility to protect the American people now. 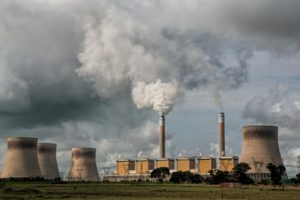 FERC – this is your cue: Stop the industry coverup and let’s have open and transparent regulation of Critical Infrastructure Protection (CIP) Standards! The main beneficiaries of this failed secret regulatory system have been the Russian, Chinese, North Korean and Iranian governments and their state-sponsored hackers. I think it is high time to kick them all out of our grid. I filed the third one because NERC and the electric utility industry objected to the release of the names of the CIP violators in the first two FOIA requests. In other words, NERC and the the multi-billion dollar electric utility industry are fighting me to prevent having the names of regulatory violators revealed to the 326 million people that the industry is endangering! Based on my application of the various factors discussed above, I determine that the disclosure of the name of the URE is appropriate. So starting Monday, the Federal Energy Regulatory Commission will begin disclosing the names of these regulatory violators to me a few at a time and I will be able to disclose them to the public HERE. The fight is not over. Not by a long shot. FERC is still not disclosing the names in the public dockets and NERC will still cover up each and every new one. Unless I continue to file frequent FOIAs, the coverup will continue unabated. A regulatory scheme should not require FOIAs to get vital regulatory information to the public. We all need to let the Federal Energy Regulatory Commission (FERC) know that the security of the electric grid is critical – secret regulation and coverups are unacceptable to the public. As a citizen who depends on the electric grid, you have the right to file a “Motion to Intervene” on this issue and be heard! The deadline to file on this docket has been EXTENDED until April 26, 2019 so write your letter today and submit it online to FERC Docket Number NP19-4-000, or mail it in to FERC (Be sure to include the Docket Number in your letter). Click Here for Motion to Intervene of Public Citizen, Inc.
Click Here for Motion to Intervene of George R Cotter, Esq. Click to read the electric industry’s opposition to transparency! 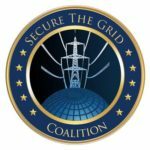 New Hampshire’s Secure The Grid Coalition contingent puts the word out! Karen Testerman and Michael Mabee talk electric grid security on WSMN 1590 AM in Nashua on March 1, 2019. We talk about Congressional hearings and coverups! 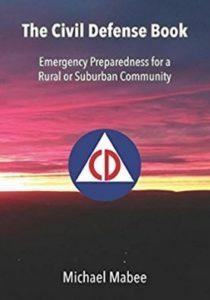 Some topics include the problems with the regulatory scheme, protecting the U.S. electric grid from electromagnetic pulse (EMP) geomagnetic disturbance (GMD) cyberattack and other threats. 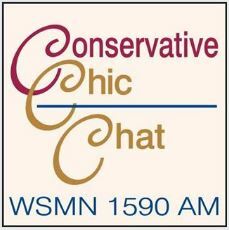 Listen to my May 18, 2018 interview on WSMN 1590 AM with Karen Testerman and Lynn Briggs!